Working as I do on the expo circuit, I meet countless people in the metaphysical field. And it’s easy to see who is going to be successful, and who will have a marginal business at best. What determines it? It’s their outlook, and how they view themselves and what they do in relation to others in the field. My friend Chris is an angel expert. She lives and breathes what she teaches. 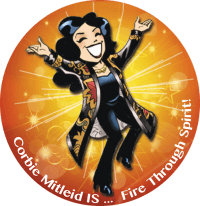 She is the inventor of “Askfirmations,” an entirely new way to look at the idea of using the energy of affirmations. She has designed oracle decks, written books, and now has a line of jewelry, candles and sprays. She has had such intense joy in the creation of all these things, sharing her bliss with others and encouraging them to find their own successes, that she can literally brighten a room by just walking into it. She never indulges in pity parties, and she is one of the most generous spiritual mentors I know. Her life and mission are clear, and that clarity is a beacon for the rest of us. The other person is also an “angelologist.” He paints spirit pictures and channels angels for his clients. He has been doing this work for over fifteen years, and can definitely rank as an expert. Yet he is always worried about the next job, the next show, the next client. He watches others in his field with jealousy and anxiety, to see if they somehow are stealing his ideas, or are moving ahead where he is stagnant. He bemoans the fact that the products he has tried to develop have never taken off. And he spends his time complaining about all the problems he has, the unfairness of this situation or that, and how he should have been famous by now, but it must be someone’s negative energy or psychic attack that’s blocking him. He never wants to hear about anyone else’s business; it’s always and forever all about him. Needless to say, if given a choice, I’ll always hang out with Chris. She radiates possibility. She is proof that “living your bliss” can be done, and herald wild success. On the occasions that I spend time with Mr. Angel, I come away drained. His view of the world is dog eat dog, win or lose. There is no room for anything positive; he’s too busy fighting imagined attacks, never looking in the mirror for clues around why his reputation remains dim. Does Chris always have an easy time of it? Is her life free of bumps and derailments? Of course not. She is human, as we all are. She has lessons to learn and mistakes to make. But instead of bemoaning such events, she learns from them and incorporates the lessons into what she teaches and gives to others. 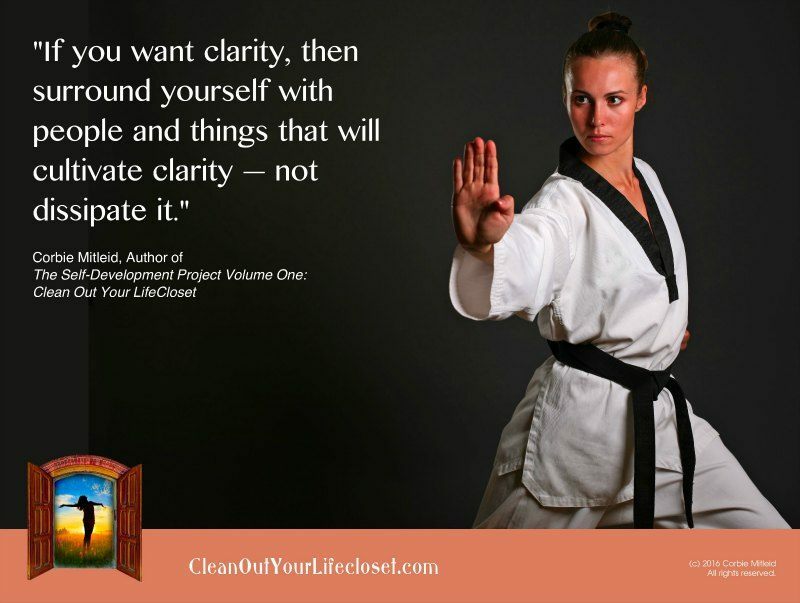 When you seek clarity, spend time with those who have it. Ask them how they found it. The true Teachers, the ones whose lives are full of purpose and confidence, are the ones that will share such clarity with you, and applaud you when you shine your own light on the world because your clarity matches theirs.